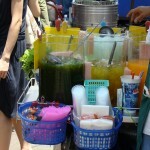 Thailand is known for it’s various markets and Chatuchak market in Bangkok is the mother of all markets. Sitting on 70 rai of land (35 acres), Chatuchak market boasts somewhere between 9000 and 15000 merchants selling to over 200 thousand visitors daily. Whatever you are looking for you will be sure to find it at Chatuchak. From household goods and antiques to religious artifacts and animals. And lest I forget, all kinds of delicious food and Thai treats. The market gets quite crowded after 9am and it can get very hot while searching out those great finds but there are many places you can sit and watch the world go by and enjoy a cold drink, Thai ice cream or just a nice Popsicle. Chatuchak market owes it’s origins to Plaek Pibulsonggram who was Prime Minister of Thailand from 1938-1944 and again from 1948-1957. 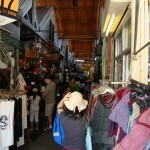 He decided that every town should have a large market and Chatuchak market in Bangkok was born. 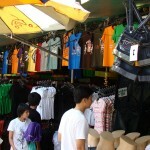 It was originally called Sanam Luang Flea Market after the area it was located in. Unfortunately the area was soon needed for several special functions so the market was moved first to Saranrom Palace where it stayed for 8 years and then to Sanam Chai where, after a while, they realized there wasn’t enough room. 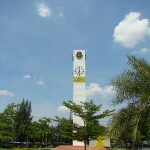 The market finally made the move back to it’s original location and took the name of the adjoining Chatuchak Park. Getting to the market is very easily done by taxi or taking the BTS Skytrain to the Mo Chit station which drops you off right at the park. 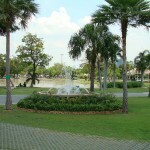 The park is very beautiful and a great place to relax from all your shopping. The park leads right into the one of the outlying food sections of the market and from there you can cut through into the actual market. You can find some great quality items at good prices at the market but make sure you haggle because whatever the price stated you can generally get a nice discount. The market is segregated into areas where certain goods can be found and you will find free maps at the market detailing these areas but to be honest it all kind of overlaps and wandering through the market is much more fun than planning your attack. Chatuchak’s opening hours are between 9am and 6pm Saturday and Sunday but the market is also open to wholesalers on Friday during the same ours and you are more than welcome to shop then as well. The garden plants section is also open on Wednesdays and Thursdays from 7am to 6pm. 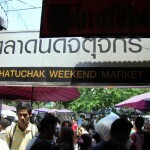 Chatuchak market is definitely a site to behold and one that I think should be on anyone’s list who’s visiting Bangkok. Going to the market makes for a great day trip and you can really find some good deals here. 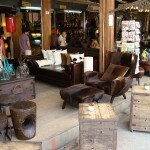 Many more pictures of the market can be found in the Gallery, Chatuchak Market. Talen I couldn’t agree more, a great place for a day out. My only regret is that we live 300km from it otherwise I would be there every weekend. I could go there every weekend too but I’m afraid the little lady would be along every trip and even though deals can be had there it would still be a costly proposition. I knew that JJs was elsewhere at some point, but I didn’t know about Plaek Pibulsonggram’s role in getting large markets going in Thailand. Thanks! Living one stop down from JJ Market, I go through spurts of shopping either at their Wednesday plant market or their weekend market. Not too much shopping, more like cruising for photo opportunities. The stall staff are pretty much hostage to someone in a camera, so JJs is absolutely perfection for pickings! Lots of photo ops at the market for sure…especially if you like taking pics of people. That pic you took of the Thai pirate at the market was awesome. I remember 7 years ago going to JJ Market for the first time and there were a few things I’ll always remember bout it. Great post and thanks for bringing back the memories. we’ve been to JJ several times (blogged on it too!) and i think it’s a fantastic place to spend the day. you just can’t see it all in less than 8 hours! Definitely a great day trip but very hot! Thanks Talen The Thai Pirate can be found most Wednesdays at the JJ plant market. Along with other generous people, once a month he meets up with the monk responsable for gathering contributions to the Aids association they support. I have the address – a temple by where I get my hair done – I just need to find the time.